The search for the next island paradise never seems to end. Travel marketers are quick to call a destination—usually in the early stages of development—as the “next Bali” or “the new Ibiza.” Sanya, a city in the southernmost tip of the island of Hainan, is touted as China’s Florida (some say it’s the “next Hawaii”) and perhaps deservedly so. 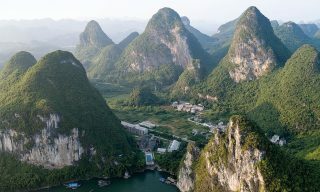 Enjoying a mild climate similar to that of Southeast Asian vacation spots, it has attracted the country’s moneyed set who flee to the resort town to escape the harsh winter. A peek into the Seascape Ocean View Room. No wonder then that many hotels have set up camp in the city. 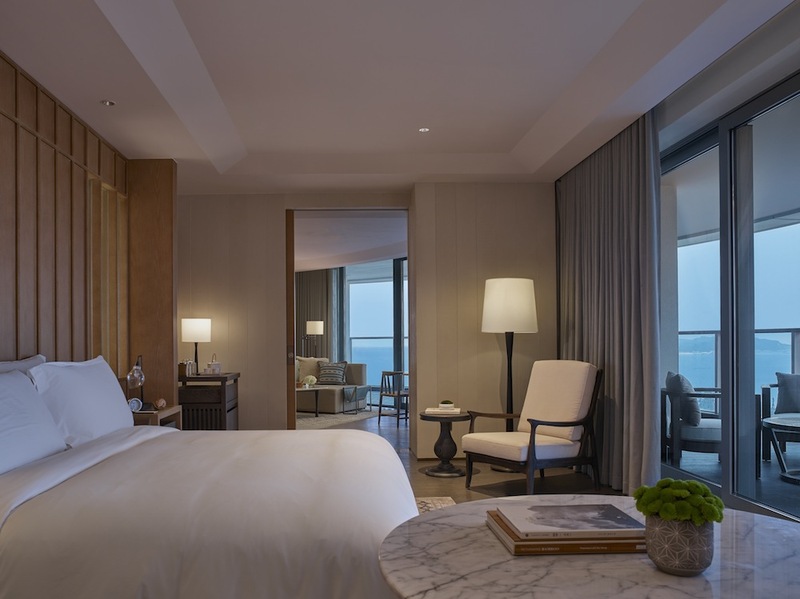 Set on the dreamy oasis of Haitang Bay, the Rosewood Sanya is one of the newcomers. Envisaged as an oceanfront retreat, the resort, which will open this month, aims to provide guests with captivating views, as well as an array of specially curated holistic treatments for the mind and soul. 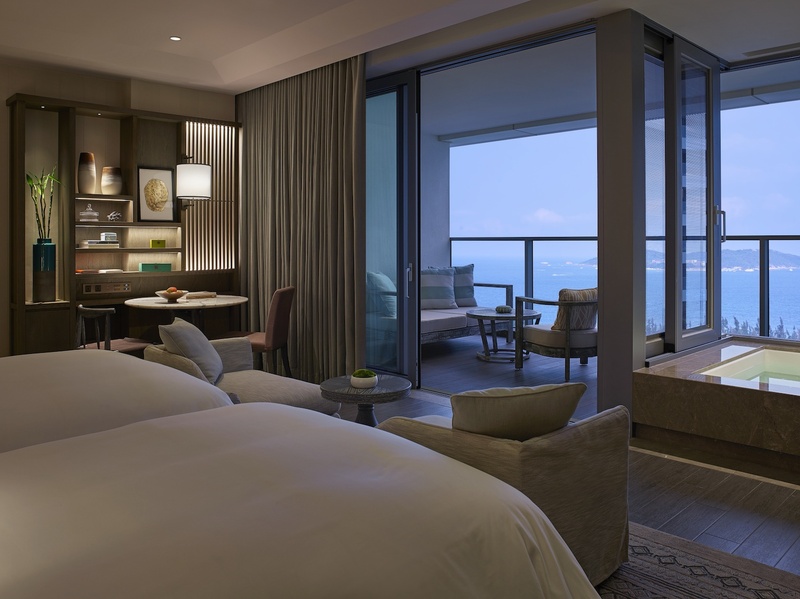 A look into one of their suites that boasts a view of the south China sea. The luxury accommodation is one of the Rosewood Hotel Group’s 19 properties spread across six countries, which includes Hôtel de Crillon in Paris. The company brings the same design ethos that has made its properties travelers’ favorites to their new venture. 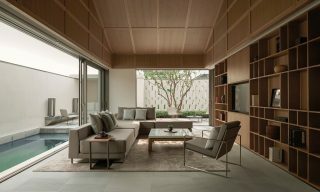 Each of Sanya’s 246 rooms and 46 residential villas was designed to serve as a sanctuary for guests. Warm neutral palettes give the quarters a comfy feel. 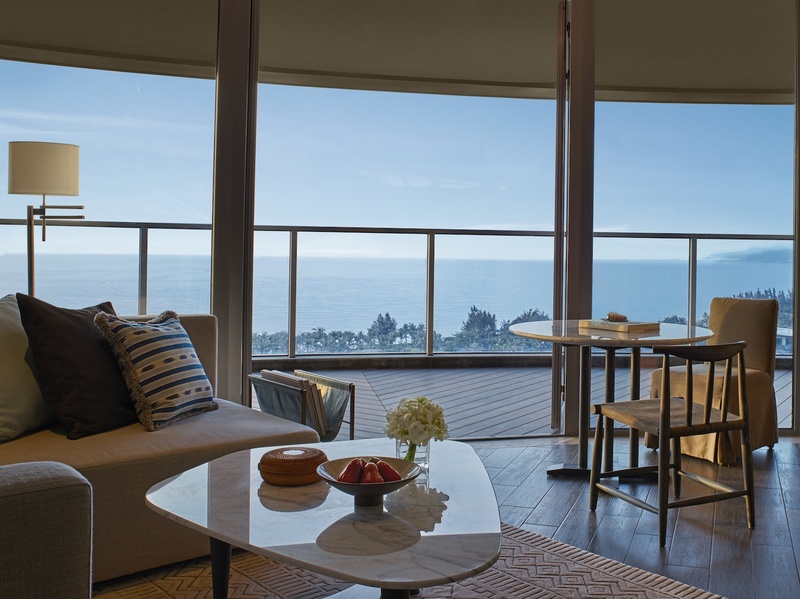 Most have spectacular views of the cerulean South China Sea—just the kind of sight that guests would like to see when they wake up in the mornings. A peek into the Fishmonger Restaurant that will be specializing in seafood. Visitors can unwind fully in the resort’s impressive Sense Spa, where blissful pampering for the soul awaits. Afterwards, they can head over to any of the resort’s dining venues: East Kitchen which serves Southeast Asian cuisine; Chop House, a casual eatery; the Fishmonger, whose design was inspired by South Asian villages; the Lounge, which was designed like a living room; and the rooftop Hai Infinity Pool & Bar, which offers cocktails and late-night light bites. The picturesque living room of the ocean view suite. 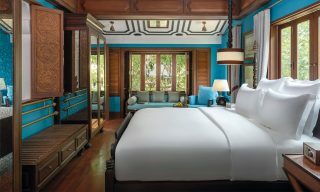 The staff at Rosewood Sanya are ready to help round-the-clock, and they can also arrange airport transfers, dinner reservations, and yacht or helicopter bookings to tour Haitang Bay. To know more about their offers, visit their website.